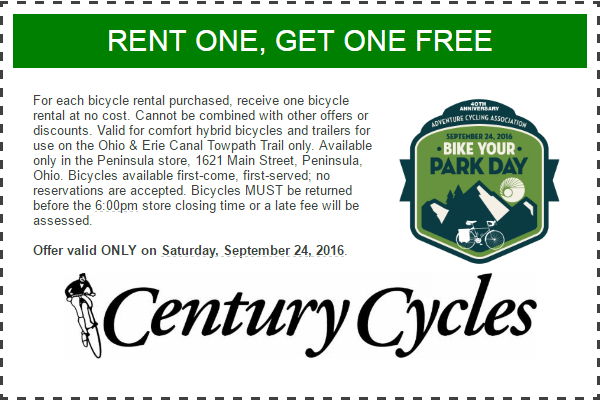 Century Cycles Blog: Sept. 24: Rent One, Get One Free for Bike Your Park Day, plus Costume Party Night Ride! 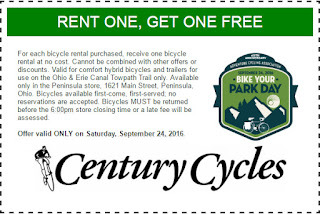 Sept. 24: Rent One, Get One Free for Bike Your Park Day, plus Costume Party Night Ride! 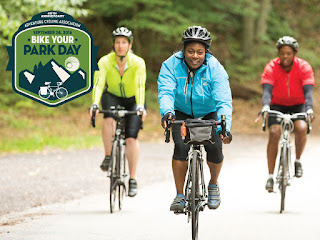 As part of the continuing celebration of the 40th Anniversary of the Adventure Cycling Association, they have designated Saturday, September 24, 2016 as National Bike Your Park Day. If you don't have a bike, we're going to make it easier for you to enjoy riding the popular Ohio & Erie Canal Towpath Trail in the Cuyahoga Valley National Park. National Bike Your Park Day will be RENT ONE, GET ONE FREE DAY for our Towpath Trail Bike Rentals in Peninsula! Just bring this coupon! National Bike Your Park Day festivities continue into the evening on Sept. 24 with our FINAL Night Ride on the Towpath Trail of the 2016 season! We're making it another SPECIAL ride -- a Night Ride Costume Party! The ride is FREE as usual! Your costume can be any theme you like -- bicycling, an early Halloween costume, or even beer-themed like our past costume rides. The person with the BEST costume (as voted by the crowd in attendance) will win a NiteRider Lumina 550 rechargeable bicycle headlight, a $109 value! 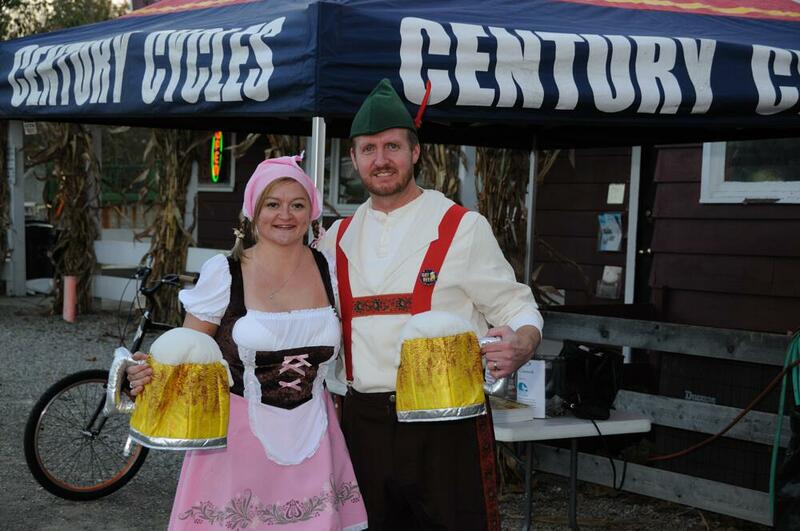 We recommend that you arrive in Peninsula between 6:30 and 7:00pm so that you have plenty of time to find parking, get yourself and your bicycle ready, sign in, and get in on the costume contest. The voting will take place at 7:50pm. We start riding at 8:00pm sharp. The costume contest and the start of the ride takes place in the parking lot of our store at 1621 Main Street in Peninsula.